New York City, NY – July 12, 2018 – Qardio, the leading digital health company, and the Uniformed Fire Officers Association (UFOA) of New York City representing 2600 active members and 5000 retirees, announced today that Qardio remote monitoring solutions for hypertension will be available to additional UFOA active members who will now have an easy way to check on their blood pressure anytime, anywhere and share their vitals with their doctors automatically. This initiative is the result of a successful nine-month pilot program conducted by Mt. Sinai Health Care System’s doctors during which participating members were remotely monitored using QardioArm and QardioMD. QardioArm is a smart blood pressure monitor that connects to the free Qardio App on the user’s smartphone so fire officers can track their measurements over time, set reminders and share their readings automatically. Recorded data is synced to the QardioMD dashboard where members allow Mt. Sinai doctors to track their readings in a simple, efficient way. As part of the second phase roll-out of this voluntary hypertension program, QardioArm will be offered to an additional 1000 UFOA active members on a first come basis, to give them access to preventative care through remote monitoring services. The Mount Sinai Health System is NYC’s largest integrated delivery system encompassing 7 hospital campuses, a leading medical school, and a network of ambulatory practices throughout the greater New York region. Mount Sinai’s vision is to produce the safest care, the highest quality and satisfaction, the best access and the best value of any health system in the nation. For more information, visit https://www.mountsinai.org. Disclaimer: Mount Sinai Health System has no vested or financial interest in Qardio. 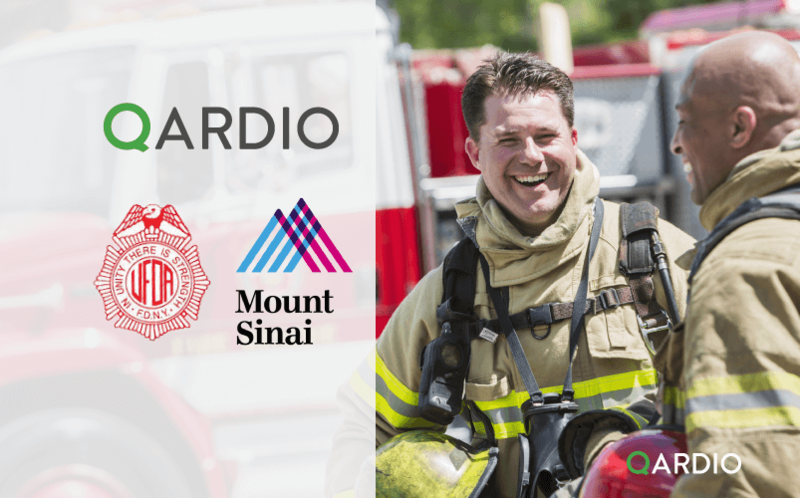 Qardio is proud to offer all active or retired first responders 20% off on all Qardio devices so they can monitor their heart health anytime, anywhere. Heart related issues are a leading cause of health concern for active duty men and women – making ongoing monitoring vitally important. Learn more about this exclusive discount here.